Binghamton University's first-ever Art of Science competition drew more than 65 entries from faculty, staff and student researchers. 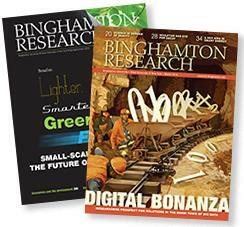 Entries, which all had a connection to Binghamton research, were evaluated based on scientific significance, originality and artistic and visual impact. 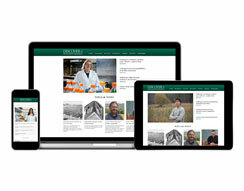 Judges for 2017 included Jonathan Cohen, university photographer; Steve Czarnecki, associate director of S3IP; Jessica Fridrich, professor of electrical and computer engineering; and JR Beckford, project assistant, Science and Technology Entry Program. First Place: Juliana Ramirez, "Phoenicopterus ruber" Judges Citations: Michael Jacobson, "Heart Pendant," and Juliana Ramirez, "Crevasse"
First Place: Hiroki Sayama, "Visualized for the Blind" Judges Citations: Andrey Dolgikh, "Domain Server Activity Smoke," and Alex J. Feingold, "Stainless steel 3D printed(3,5) torus knot"
Best in Show and First Place: Kennie Leet, "iHeartgeology" Judges Citations: Tong Yang and Jeffrey Mativetsky, "Barrier;" and Matthew Sanger, "CT-scan: internal structure of an ancient ceramic vessel"
The contest was sponsored by S3IP and the Office of Research Advancement. Plans are already underway for a 2018 competition. Email artofscience@binghamton.edu for more information.